Why You Should Witness (And Bring Your Kids) To A Rocket Launch! We live in the time before the time of regular space travel. Folks at companies like Lockheed Martin, Boeing, Orbital, and SpaceX are the companies that fire off rockets on American soil. Sometimes those vehicles liftoff from Vandenberg Air Force Base in California, NASA’s Wallops Flight Facility in Virginia, and of course, Cape Canaveral in Florida. No matter where they launch from, they all have the same incredible destination: Space. As a person who has been covering rocket launches of all kinds as a journalist since January 2015, you would think I’d be bored. I’m not. And in fact, I still stay up the night before geeking out over every single mission. Yes, it’s my job to be objective and report on missions critically but that doesn’t mean I can’t experience the awe and wonder of watching a vehicle built by humans roar toward space. I covet my mission patches. There isn’t much good news out there in the world these days. Us space reporters try our best to tell the story of a brighter future and sometimes it can be very difficult. 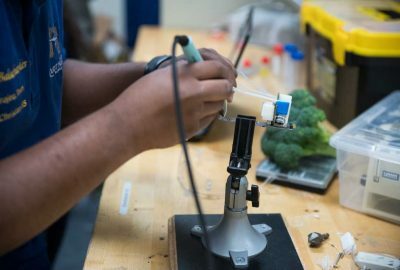 How can we get everyday people excited about rocket launches and (expensive) scientific missions to other worlds when they are struggling to put food on their tables? Well, that’s a tough one. And all I can say is that regardless of the state of the world, we must think about the state of the world when our children grow up to our age. Yes, they’ll likely be dealing with some (or more) of the horrors we face today but their opportunities for building a better (or new) world will be in grasp. Space exploration is so complex when it comes to the laws, rules and ownership rights in space. 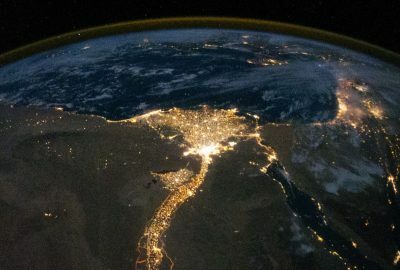 Yes, there’s treaties and agreements and such but they are quickly becoming irrelevant as private companies make much more progress in expanding space access than the governments of the world. The bigger question is: Will humans make a better world for ourselves as we venture out into the universe? Will hatred, racism, violence, and greed be left behind on Earth as we send our civilization’s best to colonize new worlds? I certainly hope so. This is why rocket launches are so inspiring. Besides being among the most complex machines conceived and built by humans, they provide a symbol of hope for many dreaming of a more progressive civilization. As a Star Trek fan, I yearn for this more than others. A world where humans are united by the idea that they are a singular race and part of a larger universe, is a world where peace and unity can thrive. This is the subtext to consider when you watch a rocket pierce the sky––not about where it’s going at that moment, but where we are all going collectively. This year has been the year of SpaceX. They have launched more times than any other entity in the world and especially beat Russia––the leading launch providers (by # of launches) in the world. They’ve also landed a rocket a staggering 16 times. I’ve witnessed 7 of these landing with my own eyes at Cape Canaveral Air Force station and it never ever gets old. 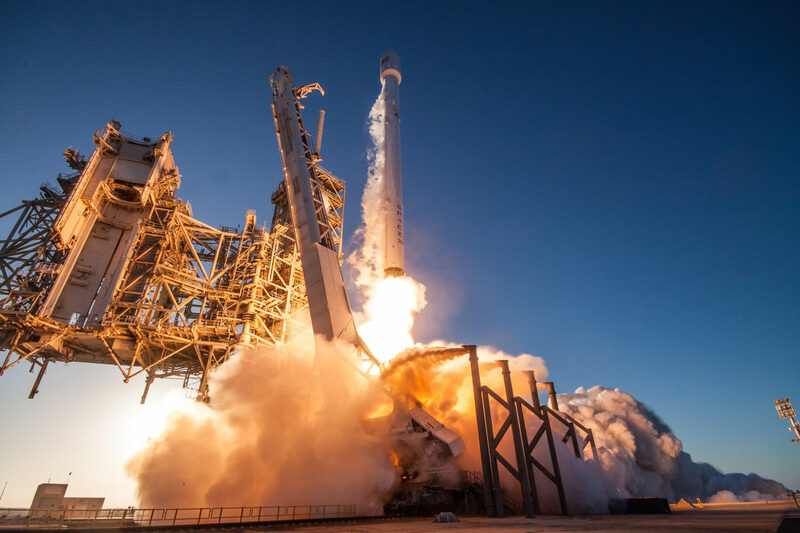 Florida is already a popular tourist destination and since rocket launches are becoming more frequent at Cape Canaveral, you may be able to time a trip next to one. For example, United Launch Alliance (a joint venture between Lockheed Martin and Boeing) will be launching a classified satellite for the National Reconnaissance Office on Thursday morning at 4 AM Eastern. On Saturday, Elon Musk’s SpaceX will launch their third reusable rocket from the historic Kennedy Space Center Launch Complex 39A (Where Neil Armstrong and Buzz Aldrin lifted off toward the Moon). When SpaceX decided to land its rocket on Landing Zone 1 at Cape Canaveral, you can literally see the giant 14-story tall booster invading like an alien spaceship through Florida’s skies. It’s something that really hasn’t occurred in the history of aerospace travel until very recently. I highly recommend it. Unfortunately, on Saturday, SpaceX will be landing their booster on the Of Course I Still Love You drone-ship which you won’t be able to see with the naked eye. But, if you stick around for a couple of days after the launch, you can see SpaceX float the massive booster on the ship back to Port Canaveral. It’s quite a sight. Of course, just NASA/SpaceX/ULA/Militar/Media personnel are allowed on base to witness a launch and use the facilities BUT, anyone can get the full viewing experience of a launch from basically anywhere in the area. Literally anywhere. There are over a dozen accessible beaches where you can feel the heat and get knocked back by a sonic boom when a rocket comes home for a landing. The sound of a rocket launch is overwhelming and it truly makes you feel like you’re watching the greatest science fiction movie ever. Specifically, I cover SpaceX launches as part of my job. Given the company’s history of devastating incidents and breakthrough achievements, their missions always have a little drama. I would say that SpaceX launches aren’t for the faint of heart. The final moments before the company’s Falcon 9 fires off from Pad 39A, can be both thrilling and unnerving. As the ground shakes beneath you and as mountainous plumes of smoke engulf the vehicle, you’ll find yourself holding your breath and crossing your fingers. Trust me, the media pool and I do this almost every time. The roar of the Falcon 9’s engines can be heart stopping when you’re standing on a nearby beach along the space coast with the launch pad in full view. You’ll hear local onlookers gasp as the rocket lifts and pierces the sky with a strikingly brilliant flame burning beneath it. Each launch still feels like an adventure. And hey, it’s free to watch! I’ve personally seen kids light up with curiosity and wonder at what they are witnessing. Be prepared to buy space shuttle toys and Star Trek memorabilia until your kid turns 18. Also, if they really get into it, might want to start saving for an engineering degree. Space travel is still extraordinarily difficult and pricey, to say the least. Failure is always a possibility and I’ve experienced first-hand how wrong things can go. 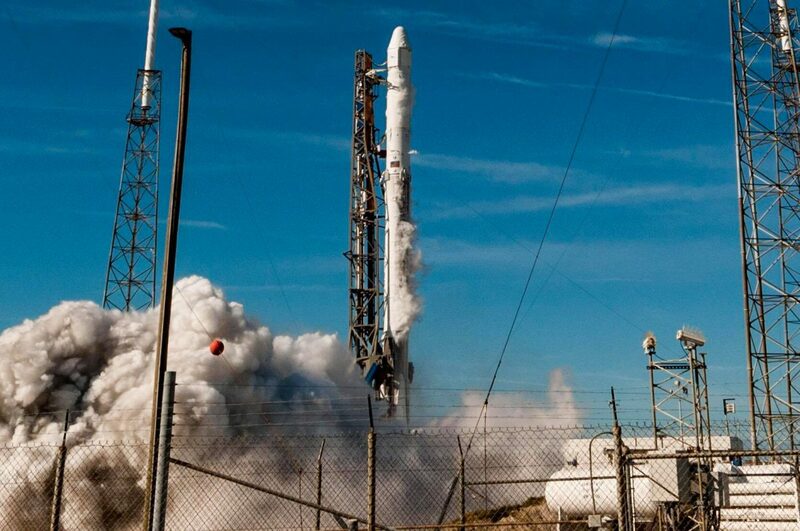 It was June of 2015 when the Falcon 9 rocket and Dragon spacecraft exploded in the clear skies above me causing panic and confusion––and a six-month delay for SpaceX. I was also the first to break the story of a Falcon 9 explosion at Cape Canaveral during routine fueling. The incident destroyed the rocket, payload and even the launch pad. Again, space is hard but the ability to pick yourself up again after what seems to be a devastating failure is an inspiring lesson for the next generation. Today, SpaceX has completely recovered and is aiming for Mars. And this is the reason why SpaceX launches are especially exciting. Every liftoff for them is another step towards their ultimate vision of making humans a multi-planetary species. Every time a rocket lands or the Dragon docks with the International Space Station, SpaceX inches a little bit closer to their goals of building a human city on the Red Planet in our lifetimes. Those first settlers? Our children and their children. So get them started on space early and bring them to visit the rockets that will one day help launch them and their dreams.